Few visual novels have had such a major genre shift and still been so regarded with the fans as Muv-Luv. This tale of high school romance quickly evolves into a space opera of aliens and giant mecha midway through its trilogy. Over a decade and a half since its PC debut in Japan, fans have been asking for Muv-Luv to get localized into English so that more fans could experience this visual novel trilogy firsthand. That time has finally come, as the folks at Pqube and ixtl have finally localized the two titles on the PlayStation Vita for your harem romance on the go. The first Muv-Luv title, Muv-Luv Extra, sets up the story of Shirogane Takeru and his quest for romancing one of his five classmates. Along the way, players will relish in sight gags, bad puns, getting punched in the face repeatedly by a girl-next-door best friend type, and waking up to find a multi-billionaire’s daughter sleeping in your bed one day. It often borders on absolute absurdity with how far out the plotlines surrounding Mitsurugi Meiya, the aforementioned affluent individual, can go but despite that, Muv-Luv stays considerably grounded in a tale of finding one’s first true love. What was once a happy-go-lucky tale of high school romance and ‘saving in the name of true love’, the second title in the Muv-Luv series (included on the cart for the PS Vita release) shifts the story in a major way. Shirogane Takeru is still the same high school age boy from the previous game but after waking up one morning at the onset of Muv-Luv Unlimited, Takeru finds himself in an alternative version of the Earth he calls home. This alternative landscape is under constant assault from an alien menace known as the BETA which aims to eradicate all life it comes across. To combat this threat, Japan and the UN have conscribed students to forego their traditional schooling and instead undergo military training to become cadets worthy of piloting giant mechs. The academy that Takeru used to attend still exists in this alternative Japan, although it’s been transformed into a military training institute meant to take on the BETA if and when they arrive. His classmates and those he could fall in love with in the previous game still exist as the founding members of Squad 207, a small group of soon-to-be pilots that first need to learn to cooperate with one another if they plan to survive long enough to pass basic training. So, how does a schoolkid with no formal military experience hope to survive the school year? Hundreds of hours of playing an arcade game called Valgern-On. Those hours of playing a mecha combat game carry over into the real world for Takeru, as the Fubuki mechs that his squad are assigned control quite similarly to that dual-joystick setup of Valgern-On (not to be confused with Virtual-On, of course). It’s no coincidence that Muv-Luv Unlimited takes some inspiration from The Last Starfighter. With this extra bit of training, Takeru’s able to make it through the military school year without simply skating by on kismet alone. 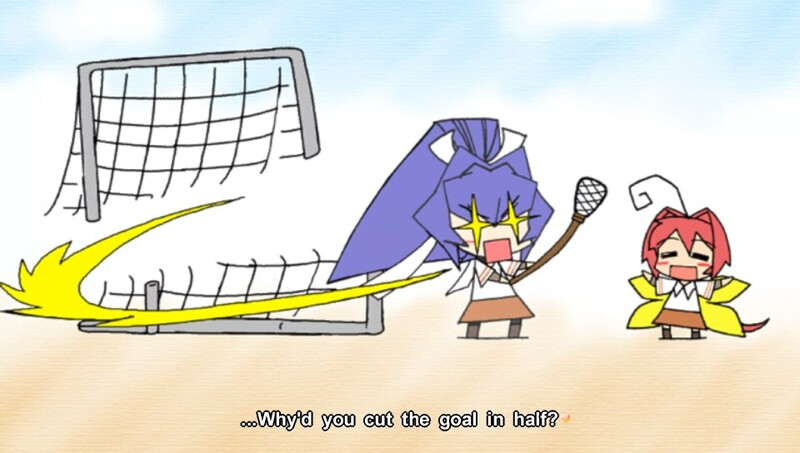 Both games, although Muv-Luv Extra utilizes this much more for its comedic scenes than Muv-Luv Unlimited, feature a surprising amount of TLC to the character art than most other visual novels. Characters don’t usually just standard like paper dolls with different facial expressions. They move about, weave in CG scenes for the more dramatic and passionate scenes, and switch to a chibi art style for the lighter hearted moments (which typically involve Takeru getting pummeled into submission by Sumika). The visual novel genre doesn’t have a whole lot of innovation in its presentation, but Muv-Luv tries to expand what that means with the amount of gags and fluidity to the characters on screen. Muv-Luv Unlimited was disappointing when it came to the different routes. 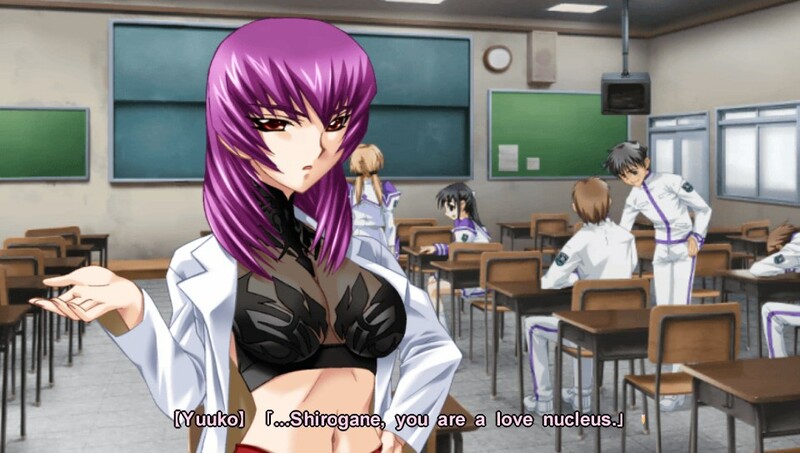 Even the previous game, Muv-Luv Extra, steered the story in vastly different directions once you confessed your true love to the girl you connected with most during the story. In Muv-Luv Unlimited, all of the stories come together for a gift-giving celebration on Christmas Eve. From there, the player has to choose which classmate will receive his gift of ‘Ticket to do whatever you want with Shirogane Takeru for a day’. No matter which girl Takeru ultimately decided to fall in love with, the stories all end the same way with the same exact play-by-play of the action and aftermath (even the grammar errors are copied and pasted between each route). Thankfully the autosave system makes it quite easy to jump back to a previous choice to help get each character’s true ending (simply one of two choices at the end) or even a little further back to that fateful Christmas party to jump into a different character’s ending. That being said, I’m glad that Muv-Luv Unlimited was included with the first title and not sold as a standalone game. It may be fairly weak overall, but it serves as the stepping stone between Takeru’s basic high school life of the first game and the mecha warfare that’s to come in Muv-Luv Alternative. I may need a small break before I jump into the space opera that this series has slowly shifted into, so my time with Muv-Luv Alternative and the second review may still be a little ways off. 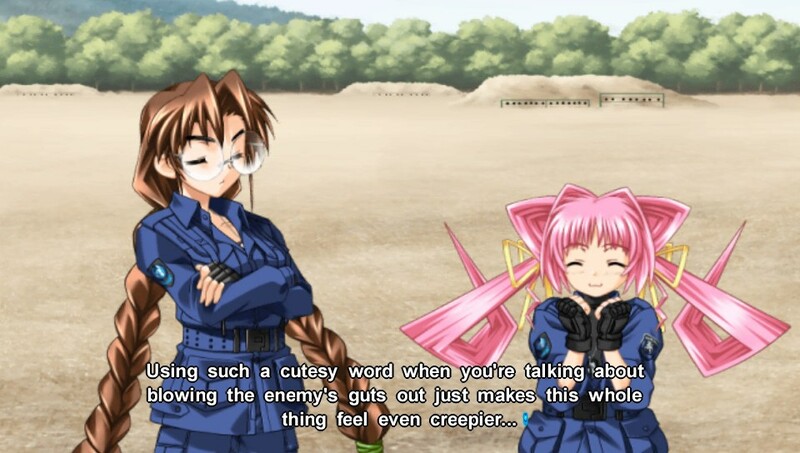 From the opening moments of Muv-Luv Extra, it’s clear to see why this visual novel series has been so beloved by fans. Who knew that such an innocent high school romance story could blossom into a tale of intergalactic warfare and giant robot duels. Muv-Luv won’t convert any non-believers to the genre, but those that already know the greatness of Japan’s visual novel output certainly won’t be disappointed with this PlayStation Vita release. Review code provided by the publisher. You can purchase the game via Amazon. Muv-Luv packs in two visual novels for your pleasure on the go. The first, a basic high school romance, offers you the chance to date your high school sweetheart. The second, Muv-Luv Unlimited, has you fight alongside them to defend Earth against an alien menace.